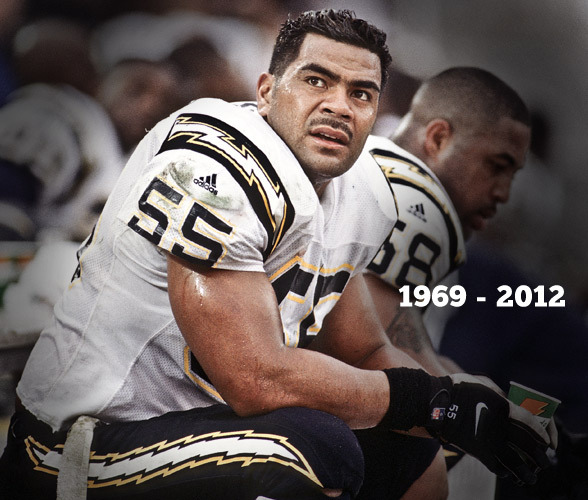 Sydney Seau, daughter of the late Junior Seau, said the NFL told her she would not be able to say a speech onstage about her father. Instead, she will be allowed to speak on her father on the video that lasts five minutes which is roughly three minutes longer than the video presentations for living inductees. I have a problem with this. Yes, I know the NFL started this policy in 2010 and it was followed for the first time in 2011 when former Ram Les Richter was inducted posthumously. My question is why should deceased players be shortchanged? If a player is good enough to be inducted into the Pro Football Hall of Fame, then he deserves to be presented with a speech on stage with a video the same length as other inductees. Why does the NFL leaders feel it necessary to control every aspect of the league? They should give the option to the families of deceased players as to rather they would prefer a longer video and no speech on stage or a normal video and a speech on stage. Two notable players I grew up watching who passed away too early are Reggie White and Derrick Thomas who were inducted into the Hall of Fame in 2006 and 2009, respectively. White was inducted by his son while Thomas was inducted by his former Kansas City Chiefs’ general Manager Carl Peterson. Both speeches were just as moving and emotional as if these former NFL players were still alive giving the speech themselves. So why the need to make the change in 2010 just a year after Peterson’s speech on Thomas? The NFL says the Pro Football Hall of Fame is all for the players. So I take that to mean living players rather than their families when indeed families of deceased players may cherish the honor even more because their husband, father, brother, uncle, son, and grandfather is no longer around to reminisce about his playing days. Shame on the NFL for taking the honor of receiving an induction speech onstage for deceased players.